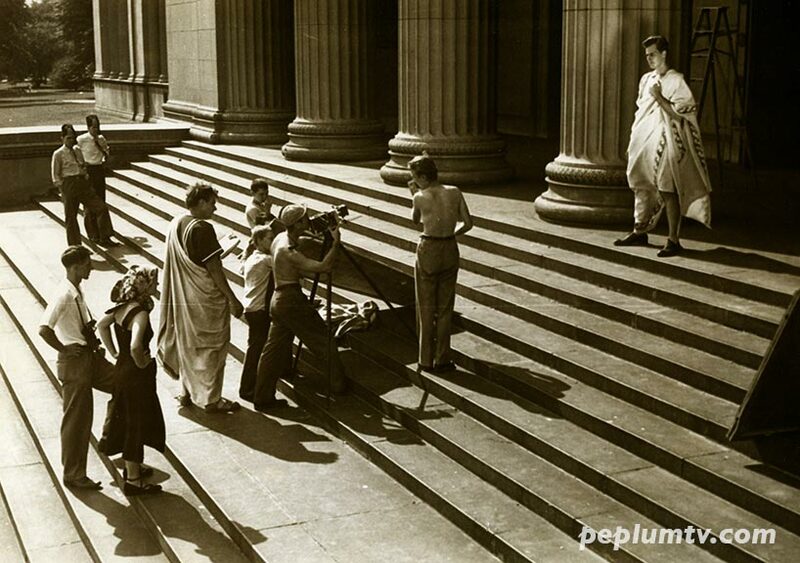 Charlton Heston is being directed by David Bradley in the art house production of JULIUS CAESAR (1950). The film was shot in 16mm Black & White. In the following 9 years, Charlton would appear in several massive Technicolor epics including THE TEN COMMANDMENTS and BEN-HUR. They all have to start somewhere. I remember seeing this film in High School during the late 60's.